‘FLASH’ – Access to more rides with ONE button! Need to be somewhere fast? That’s why we’ve created a new feature – FLASH. 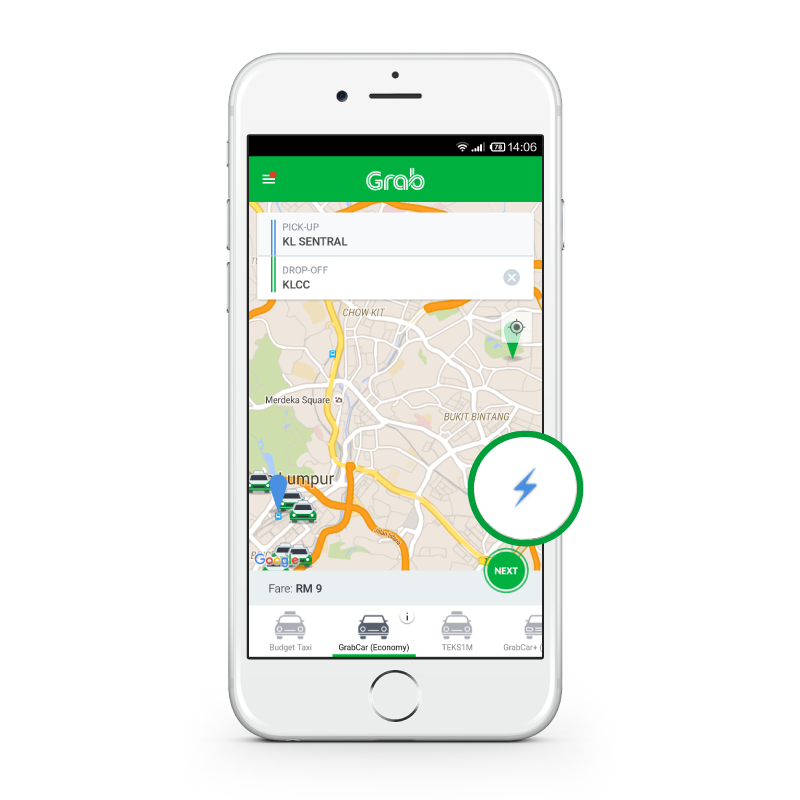 With just ONE tap, gain access to our wide pool of MyTeksi and GrabCar fleet. We will assign you to the nearest available vehicle. 1. Update your app. 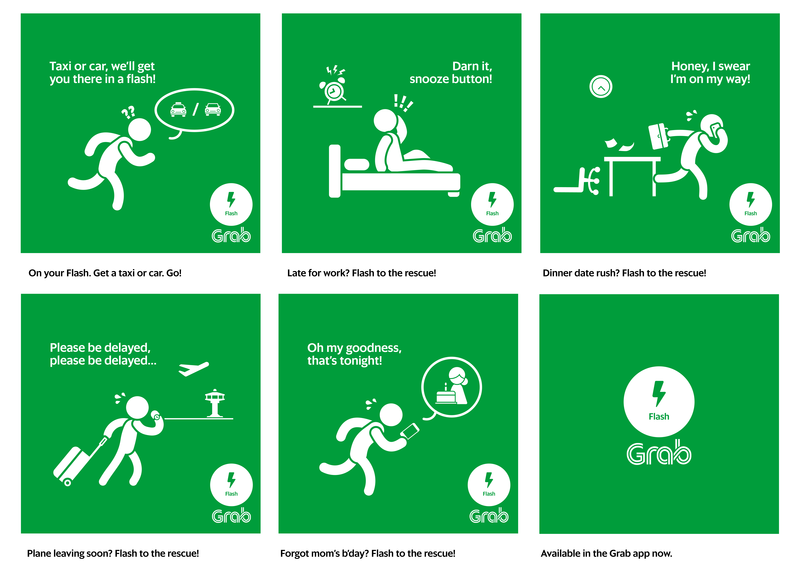 Launch the Grab app to see the ⚡ button. 2. Select your pick up/drop off point and the ⚡ button will light up. 4. Select your preferred payment method and book now. • Not applicable for rides with promo code usage.